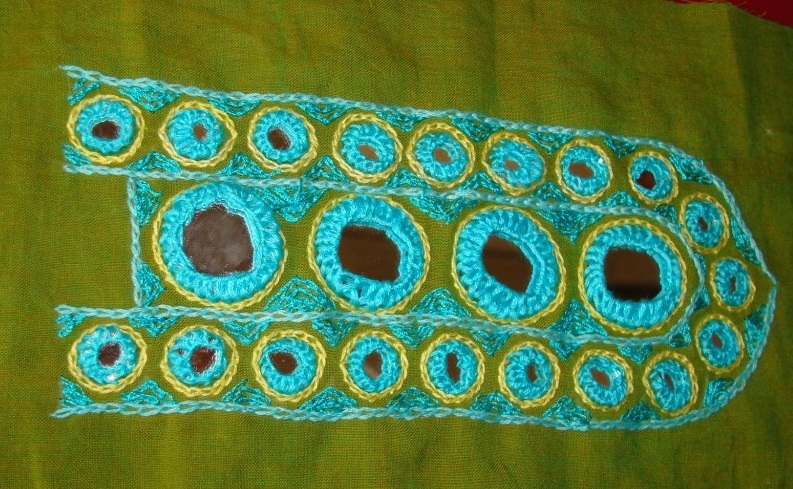 The embroidery on this mirror yoke is further worked in blue and yellow . 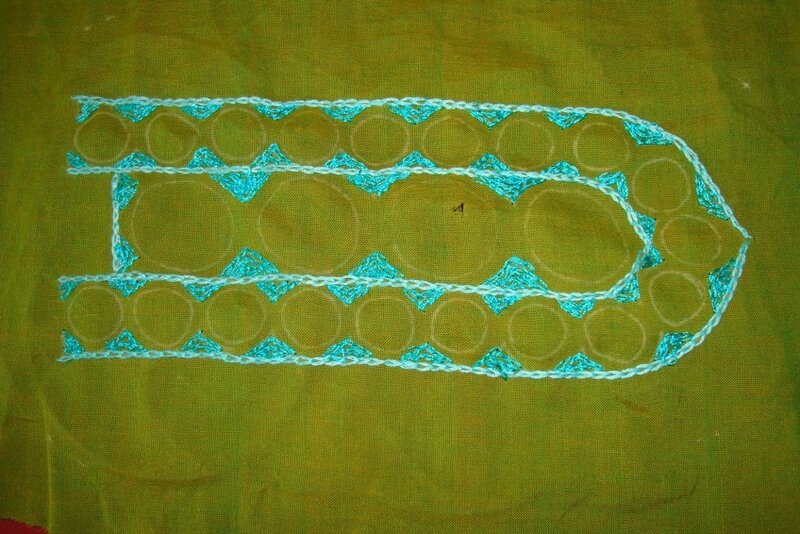 The small triangle shapes around the mirrors were filled with chain stitches in medium blue colour. The yoke looked like this after working the mirrors.one mirror caught the flash! I couldn’t get the right fabric in blue or yellow for this yoke, tried swing towards white with black prints and settled at last on dark green ikat fabric with blue and yellow streaks on its weave. I was not sure whether this fabric will suit the young girl, but she loved it and I was happy! 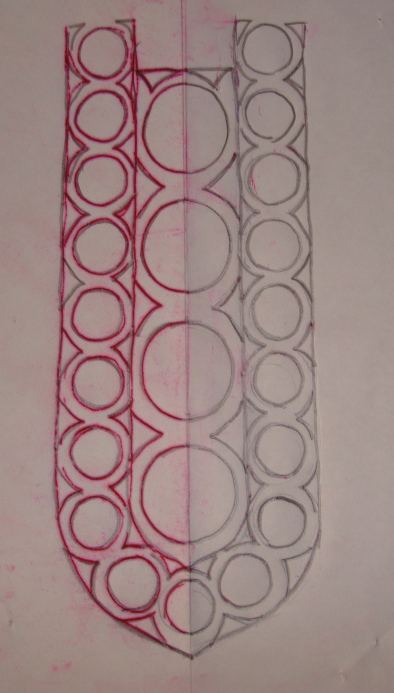 This is a simple yoke with mirrors. 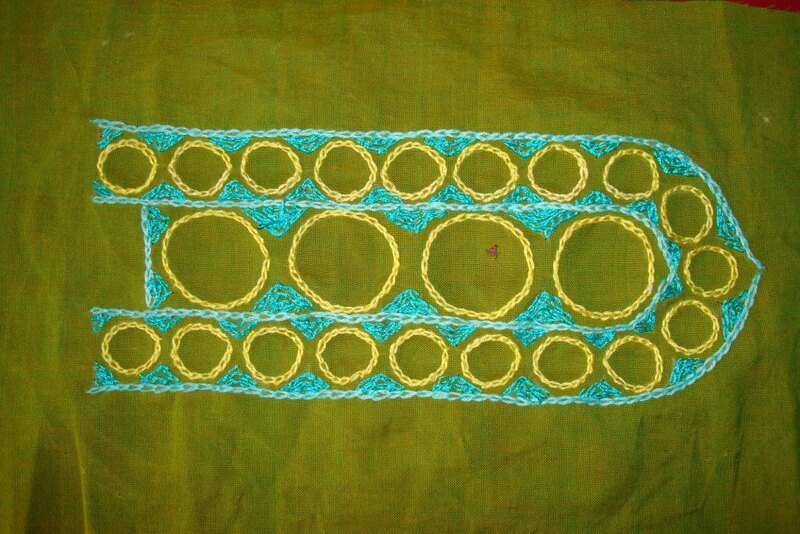 The yoke fabric is mangalagiri cotton in yellow/green. The embroidery is done with cotton skeins. This was for my friend’s daughter. 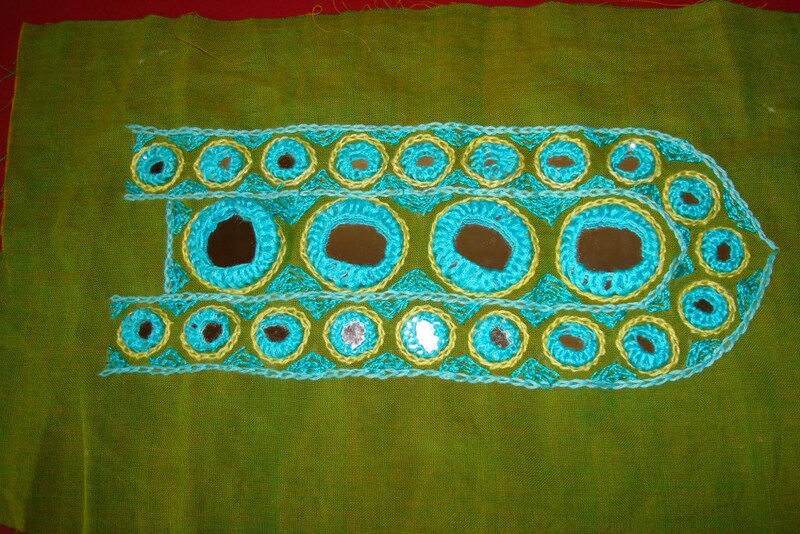 Idea was to work with bright colours and I also liked this green and blue combination. 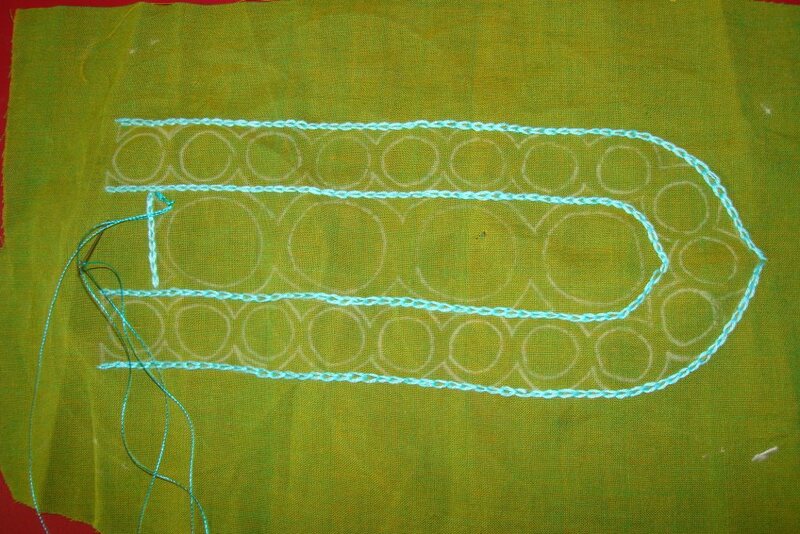 Chain stitch outlines were worked with three strands of light blue thread.